The Indianapolis Colts promote responsible drinking and positive fan behavior at Lucas Oil Stadium. The Colts alcohol management plan ensures that fans have a safe and fun experience. Indianapolis Colts fans are the best in the NFL because of their enthusiasm, team support, and Hoosier hospitality. The players, coaches, staff, and fans shape the Colts image. We encourage our fans to create a high-energy environment supporting the home team while maintaining a family-oriented atmosphere. Fans are encouraged to anonymously text stadium management to report violations of the Fan Code of Conduct. There are 4 locations of the Bud Light Good Sport designated driver program at Lucas Oil Stadium. Fans who pledge to be designated drivers receive a complimentary soft drink and a chance to be selected as the Designated Driver for the Game. Designated Drivers for the Game are recognized on the stadium video board and receive a special prize from the Colts. Continuing for the 2016 NFL season, the Indianapolis Colts are facing off against the Jacksonville Jaguars in the Bud Light Good Sport Designated Driver Challenge. Colts fans who pledge to be designated drivers at Lucas Oil Field earn the Colts a touchdown (6 points) in the Challenge. Colts fans who “Like” the Colts Designated Driver Challenge Facebook page earn the Colts an extra point in the Challenge. 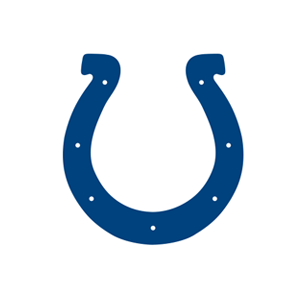 Please make the pledge to be a responsible Colts fan and help the Colts win the Challenge!